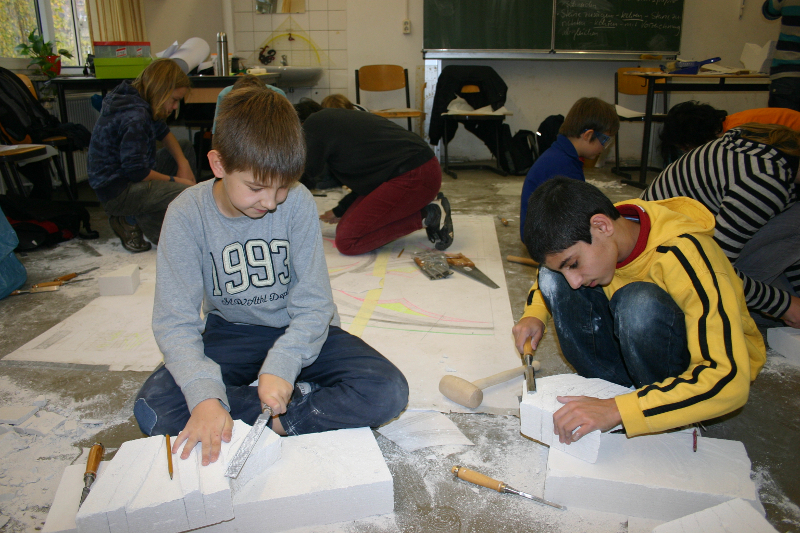 The 2011 state exhibition has a special attraction for school classes to the Naumburg Cathedral: a day in a medieval cathedral stone masons’ lodge and workshop. Hands on experience lies in the foreground: faithful copies of the original tools can be used. The pupils can slip into the roles of a medieval master builder or craftsman, and experience the fascinating world of a stonemason’s lodge of the 13th century, and even try out medieval working technology. Opportunities to build a vault with model bricks or to reconstruct a Gothic window from soft porous concrete blocks and give it a lead glazing will abound. In addition, a large, wooden model of the cathedral may be used to indicate to the children the different construction phases of the church. The concept for this innovative project is currently being developed in cooperation with the Landesinstitut für Lehrerfortbildung, Lehrerweiterbildung und Unterrichtsforschung von Sachsen-Anhalt (LISA) [Saxony-Anhalt state Institute for the Continuing Education of Teachers and Research of Teaching Methods].